The following scenario details why it doesn’t pay for the republicans on the US House Intelligence Committee to publicly release the Nunes anti-FBI memo without having it subjected to the standard de-classifying/ vetting process as it sets a precedent that has unintended consequences. Somehow i can’t seem to trust either side, their motivation is clearly for political gain and one-upmanship over each other rather than working together to get at the truth. Unfortunately the FBI got caught in the crossfire. This “memo” is weaponized by the Repubs to counter Russian investigation against Trump. I’m sure the memo doesn’t contain much evidence, perhaps vague allegations of FBI interference, nothing that the Dems should worry about. What the republicans are doing does set a precedent which worries me. It was unnecessary. There is an Inspector General Michael Horowitz who has already been investigating the FBI for alleged wrongdoings and his office could have performed the vetting to de-classify this memo. Then it would have been okay to make it public. 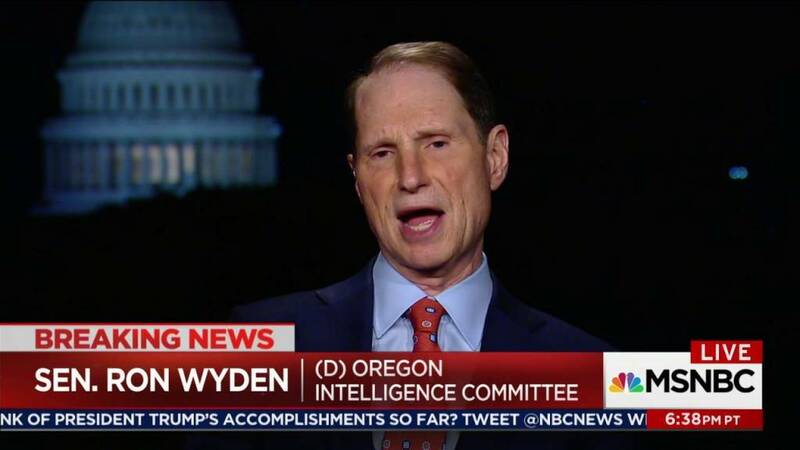 What Sen Wyden would like to do, would be just as wrong to where he shouldn’t act accordingly. But the republicans have opened a door that they shouldn’t have. All of the rush is due to the president not wanting to testify and he is trying to figure a way out of this. Also, I think that the republicans wanted to act before the Inspector General publishes his findings. According to CNN, turns out Trump had not read the memo prior to SOTU, according to Sarah Huckabee. John Kelly stated for the record that the memo will be released unredacted, interesting how the FBI would respond to this. Mr Wray strongly advised the WH not to release the memo in it’s current form. Thanks for the reference. This story is still evolving. The president’s Chief of State General John Kelly who was very proactively supporting the release of the memo has had to inform the president that the memo was not going to have the impact that they had anticipated. The general did read the memo. The WH is worried that the memo will be a dud. The memo will be picked over by investigative reporters until there’s nothing left. I’ve been reading the hype in the right wing media which is way over the top. There is always something farcical about the collection of people who are supposed to be spending precious time governing a nation bickering with one of their own agencies because they don’t like it playing by the rules. We’ve had this in the UK over the disastrous introduction of a social security benefit when a government minister blamed every civil servant apart from himself. It should be the axiom that being part of any governmental bureaucracy that no one will get their way most of the time. There is a saying, “You can’t fight city hall.” You can work to win in the margins. And of course, you simply do your job in the most competent professional manner possible. The vast majority of the good peoples who work for the FBI and the US Department of Justice are just doing their jobs which is not to do the president’s bidding. The president and his cronies are having a hard time accepting this reality. Could face a soft rebellion with many folk voicing concerns and being picky with enquiries to investigate which come direct from The Whitehouse.